Traveller Tip: Book Online & Save 6%! 28 November until 14 December: Sunday to Thursday, last entry is at 08:00pm with the festival closing at 09:00pm. 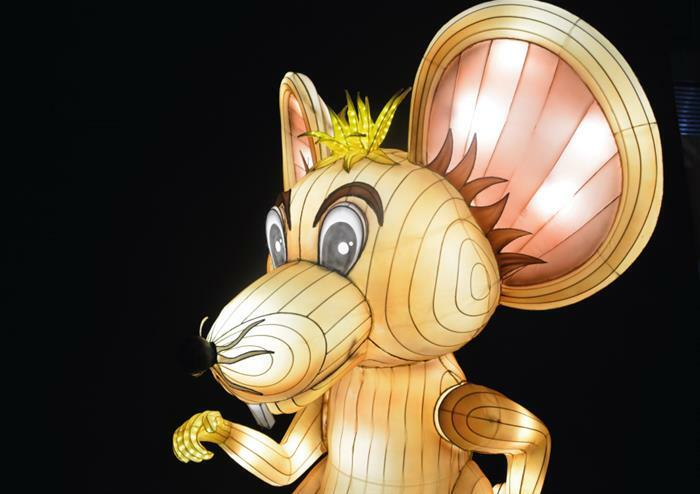 28 November until 14 December: Friday and Saturday last entry is at 09:00pm with the festival closing at 10:00pm. 14 December until 5 January 2019: Daily, last entry is at 09:00pm with the festival closing at 10:00pm. This festive season, experience the fairytale magic of Alice in Wonderland and find yourself in the enchanting world of Winterland. 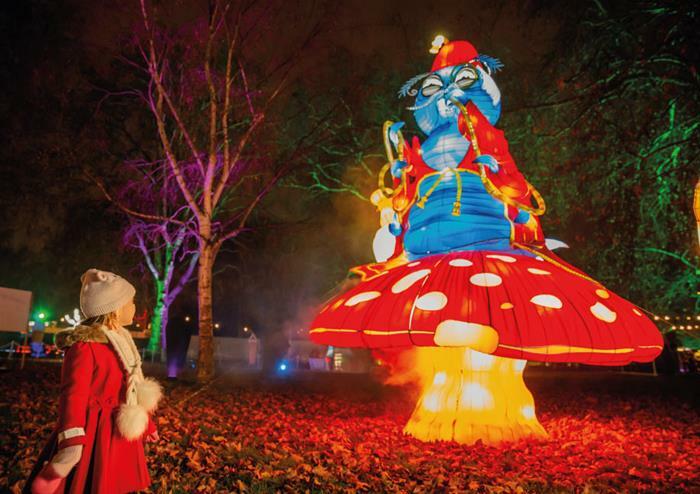 Venture into the illuminated Southwark Park as you follow in Alice’s famous footsteps. 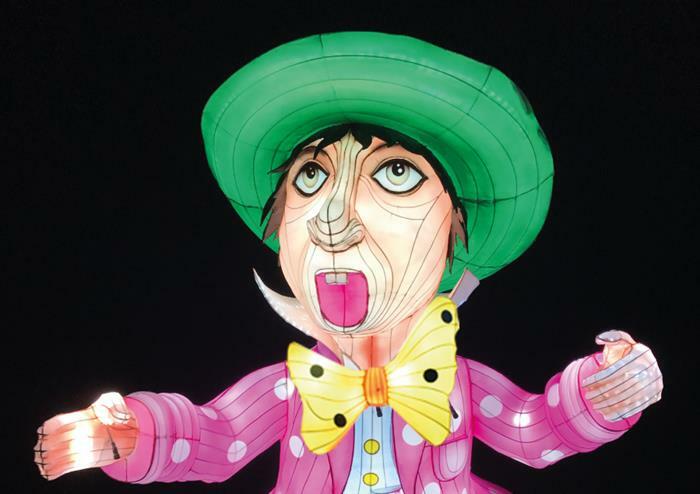 With thousands of beautiful lights sparkling in the night sky and over 29 interactive scenes, the story of Alice in Wonderland will be told like never before. 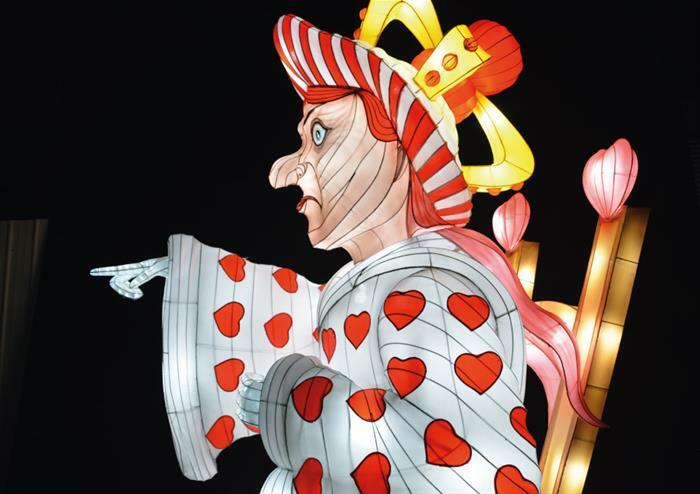 As you adventure from scene to scene, you’ll come up close to a 5 metre tall Alice, a 7 metre high Jabberwocky, see the iconic flamingos, walk across the life-size chessboard, meet the Red Queen and much more. 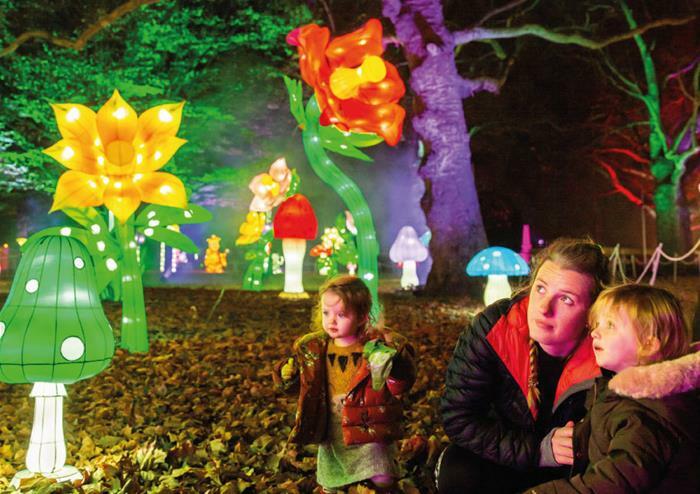 You’ll also get to drop down the rabbit hole, see Alice’s tears as you walk through the illuminated forest, sit at the Mad Hatter’s Tea Party and much more. 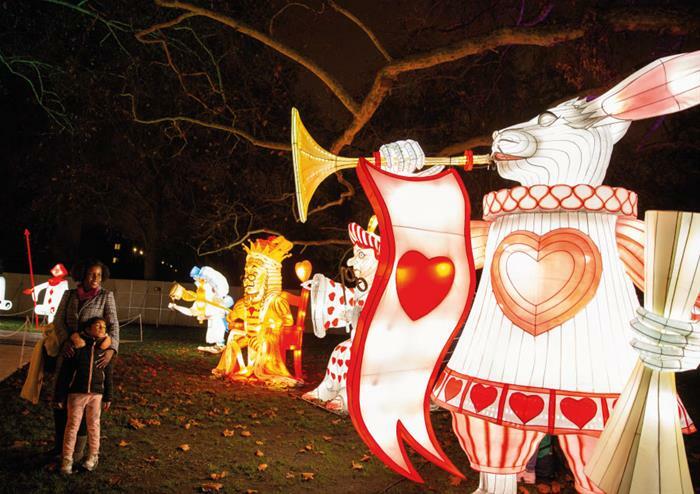 Perfect for all ages, this is a festive experience that you won’t be forgetting! No Christmas festival would be complete without Christmas foods to set your jingle bells jingling! Once you’ve worked up an appetite from all of that shopping, you can settle down to something scrumptious from one of our food vendors or grab a cup of piping hot cocoa. It’s here that you’ll get to enjoy live musical entertainment* on specific dates so be prepared to sing-a-long to some of those festive classics! There could only be one special guest of Winterland and it just had to be Santa Claus himself. Dressed in his much-loved red and white costume with that very handsome white beard, he’ll be ready and waiting to meet all those that are on the nice (and naughty) list. Which one will you find yourself on? There will also be an opportunity to enjoy a green screen experience with 4 different scenes to take a picture and remember your time with Santa Claus! 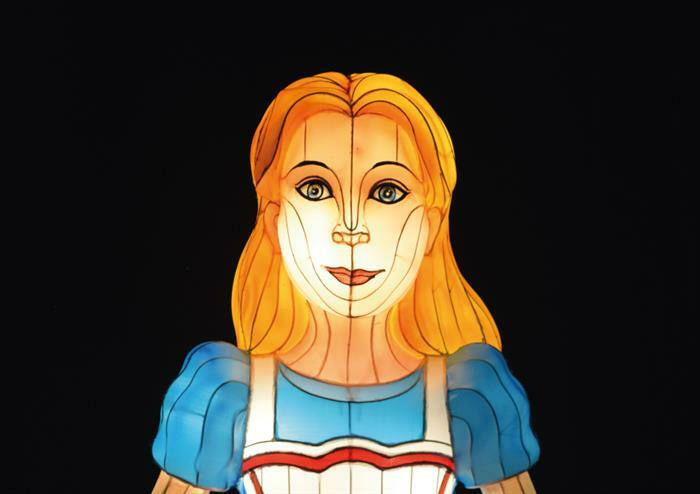 This wonderfully magical experience brings the nostalgia of Alice in Wonderland to life through the exceptional lantern artwork whilst giving you the chance to interact and immerse yourself in this enchanting fantasy world. 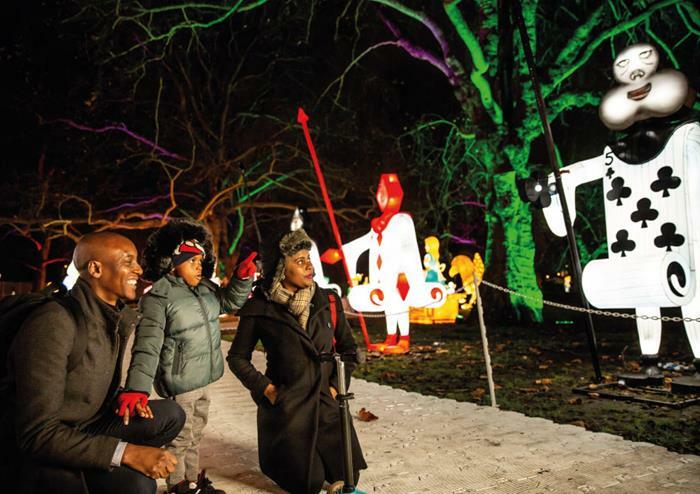 Whether you’re bringing your children along or out as a couple, it’s the perfect winter’s evening out! 28 November until 14 December: Sunday to Thursday, 4pm to 7pm. 28 November until 14 December: Friday and Saturday, 4pm to 8pm. From 15 December: open all days from 4pm to 8pm. 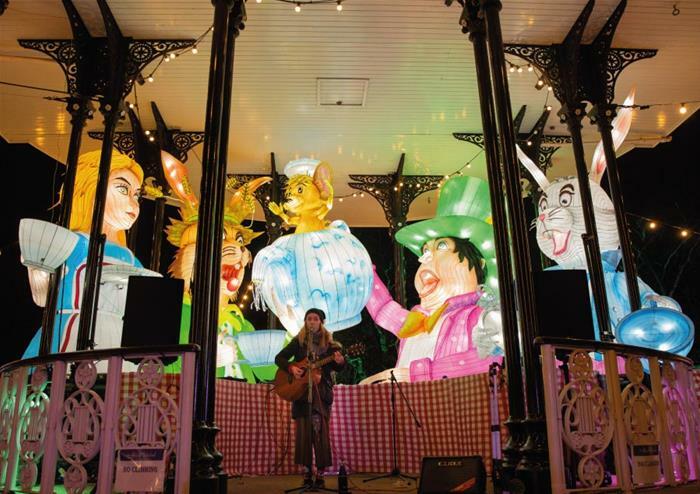 Santa’s Grotto is at an additional price to your Alice in Winterland ticket. Pricing starts at £7.00 for one child and 2 free adults with a goodie bag. Photos with Santa are at additional price as well. 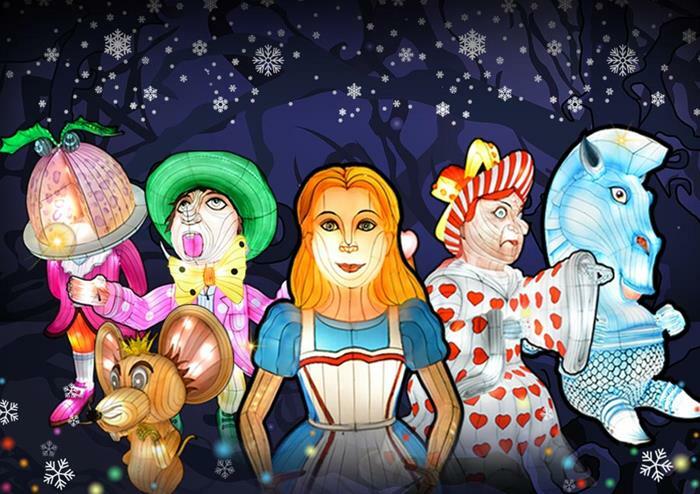 Please note that there will be no parking at Alice in Winterland and the surrounding area. 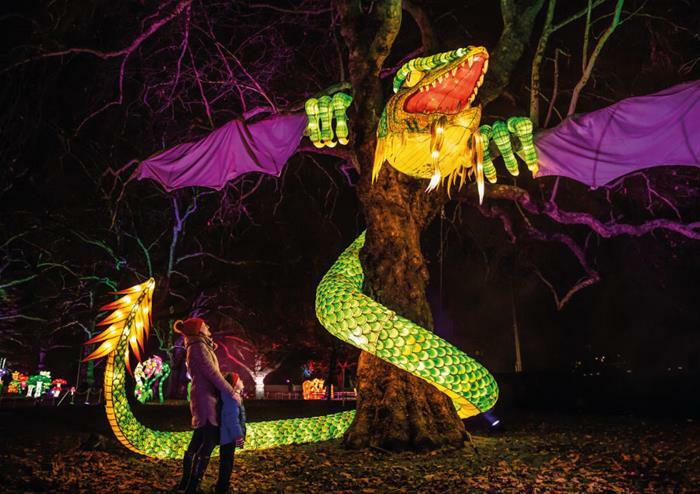 We strongly recommend that you take public transport which is easily accessible to Southwark Park. Closest tube stations: Canada Water and Bermondsey. There is wheelchair access throughout the Alice in Winterland route. Once your ticket has been used, you cannot re-enter the festival. Tickets for infants aged 3 and under are free. Please ensure you bring these tickets with you in order to gain entry. When booking student tickets, please ensure you bring a valid NUS card in order to gain entry. For all Santa’s Grotto bookings, you will have a time slot to meet Father Christmas and his helpers 75 minutes after arrival when you should join the queue/holding area. Please note, if you miss your time slot, we will try and accommodate you but cannot guarantee entry. Tickets are non-refundable. There will be additional visuals to help tell the story each scene for hearing-impaired individuals. Musical entertainment will not be available every evening, only on the following dates: 29 November at 6:00pm, at 4:00pm, 13 December at 6:00pm and 7:45pm, 14 December at 3:00pm, 15 December at 6:30pm. Amazing production! Just wow. Worth every penny!